$5.99 EA., BUY THREE OR MORE FOR $5.50 EA. The story behind these two colors is in early spring when baby ducks are being hatched you will notice some of them will have florescent orange feet and white plumage and some will have yellow feet with white plumage. 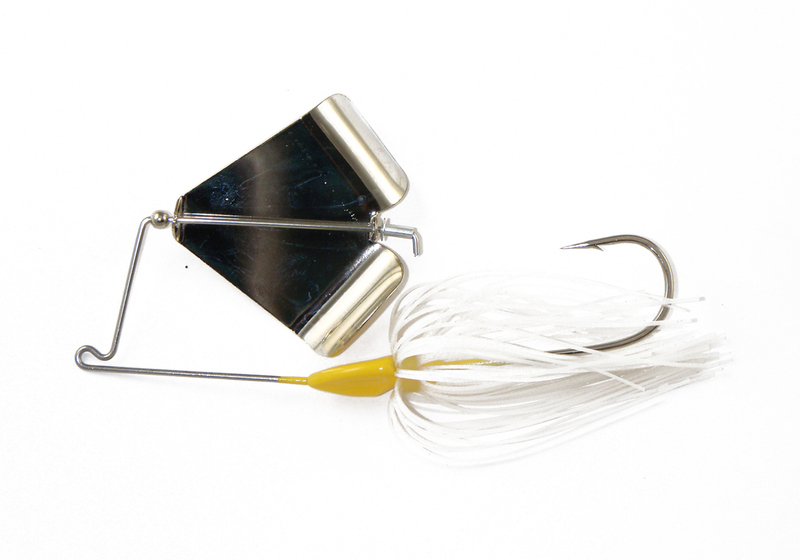 Think about this and we believe you may want to try these buzz baits in early spring, however, they will work most of the year.